Put your money to work-the smart way. Overheard a seductive stock tip? Saw a story on a promising new product? Stop chasing quick payoffs that will never pan out. If you want to succeed in the market, start thinking of stocks as money machines. Investing in the market doesn't have to be reckless speculation-gambling on guesses about zigs and zags in stock prices. 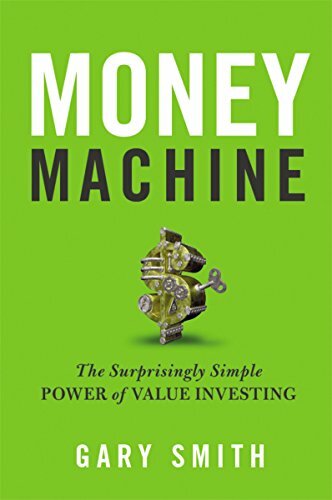 Money Machine explains how to invest based on value, selecting stocks that will continue to enrich you for years to come. Value investing is the secret to the success of Warren Buffet, Benjamin Graham, and other Wall Street legends. It can be your secret, too. Discover how to: * Judge a stock by the cash it generates * Determine its intrinsic value * Use key investment benchmarks such as price-earnings ratio, dividend-price ratio, q ratio-and the Bogle and Shiller models * Recognize stock market bubbles and profit from panics * Avoid psychological traps that can trip you up * And more The stock market is not a get-rich-quick scheme. But it is the best way to achieve the financial success you've always dreamed of. Money Machine will help you make those dreams come true. If you have any questions about this product by AMACOM, contact us by completing and submitting the form below. If you are looking for a specif part number, please include it with your message.